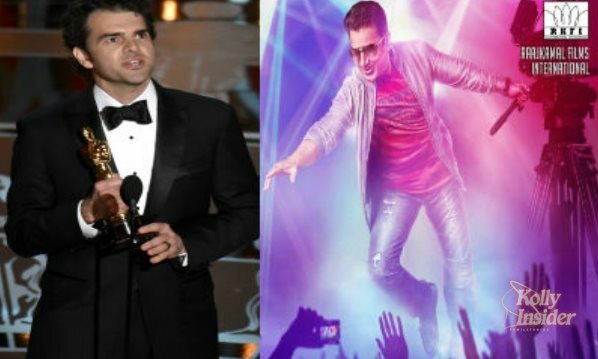 Craig Mann the Sound Mixer who won the Oscar for his 2014 released 'Whiplash' movie is currently arranging the sound for Universal Star Kamal Haasan's upcoming Tamil entertainer Uttama Villain. Congratulating Craig Mann who takes home the golden lady, Uttama Villain Film presenters Thirupathi Brothers banner posted: "Congrats "CRAIG MANN" sound re-recording mixer of #UttamaVillain for winning the "Oscar" for the feature "Whiplash"", in their official Twitter page. Pooja Kumar, Urvashi, Parvathy Nair, late K Balachander, K Vishwanath, Jayaram and others are part of Uttama Villain crew. Ramesh Aravind directed UV music album is ready and Sony Music is planning to unveil Ghibran composed Uttama Villain music album on March 1st.